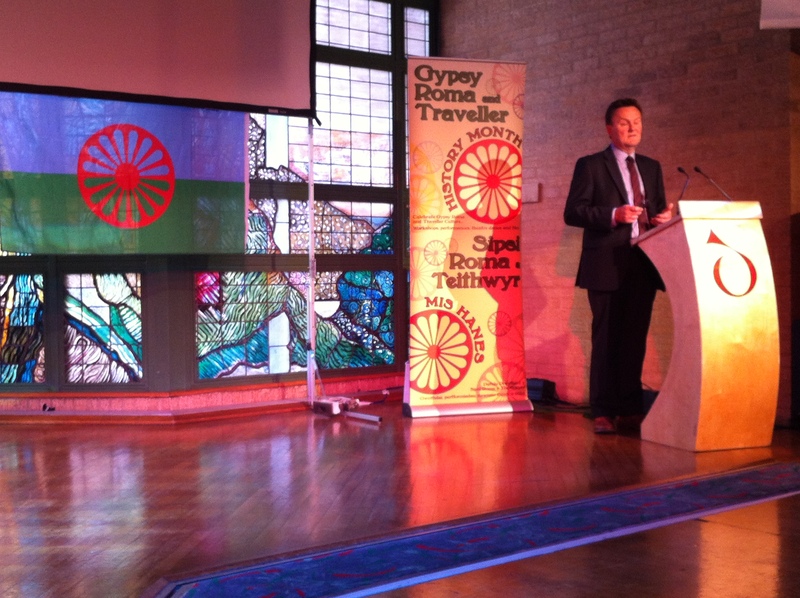 On Wednesday, the Travelling Ahead team took part in a Gypsy Roma History month celebration event at St Davids Hall. We took part in planning the event along with Isaac Blake from the Romani Cultural and Arts Company so after the months of planning, it was exciting to see it take place. Keith Towler, the Children’s commissioner opened the event and talked about the troubles that Gypsy and Traveller young people face on a daily basis, including bullying and discrimination. Keith announced the winner of the T-shirt competition which was a young person from our Flintshire forum. Lots of Gypsy and Traveller young people showcased dances and there were workshops in the afternoon. Travelling Ahead are currently training young people to become researchers so the event provided an excellent opportunity for them to develop a cultural awareness survey and get responses on the day. The Travelling Ahead stand had a slideshow of pictures to showcase our work including mentions of the articles that apply to culture and participation and stills of our website. From the stall, we saw lots of familiar faces and engaged with less familiar faces which was really productive and these are links we can make going forward. It was a brilliant event. A big well done to all the children who took part and congratulations to Isaac and the planning team for another successful event.